Most footballers enter their 30's and their performance levels seem to inevitably drop quite quickly – especially midfielders and strikers who have relied on pace throughout their careers. 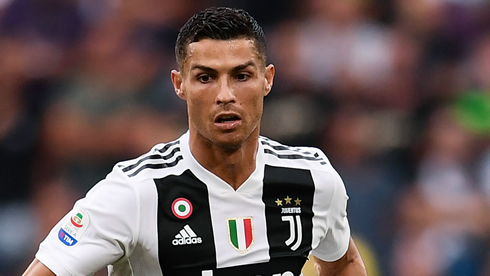 But as he's proven throughout his career, Cristiano Ronaldo certainly isn't "most footballers" and it is for that reason, you can be sure, that even at the age of 33, he is far from finished at the top level of the game. 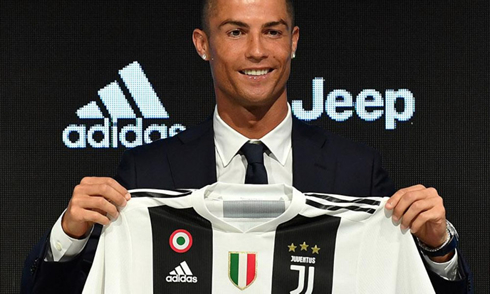 In the following article, we'll look at three reasons why Cristiano Ronaldo is STILL the best footballer in the world and will continue to be in the coming years, winning awards on both a personal level, as well as for club and country. 2017/18 has been a miserable season for Real Madrid domestically, but that hasn't stopped them from keeping up their form on the European stage. Indeed, Real are the most successful European team of all-time, winning the European Cup and Champions League titles a record 13 times, including back-to-back titles in 2016, 2017 and 2018 – the first team to win the competition in consecutive years was AC Milan in 1989 and 1990. However, you'd have to go back to the mid-1970s to find a team that has won the competition for three consecutive years, and so Real has matched Bayern Munich's feat after winning the title in Kiev this year. And there's no doubting that the Champions League is Ronaldo's competition. He is by far the competition's all-time leading goalscorer and was the first ever player to score 100 Champions League goals. In 2017-18, he bagged a total of 15 goals, topping the scoring charts in the group stage with nine goals in just six games – well ahead of the next highest goalscorers, who managed just six goals. Another three goals for the Portuguese helped Real knockout the much-fancied PSG and ended up helping Ronaldo finishing on the top of Champions League scoring charts this past season. 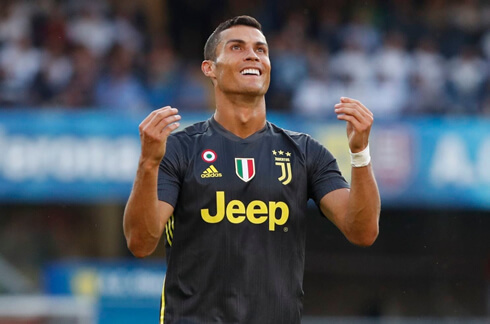 Despite struggling in throughout the whole season in Spain, many people ended up betting on Real Madrid to win the Champions League for a 3rd time in a row, with Ronaldo leading the way. Looking back at it now, it was definitely the smartest move. After all, it is on the biggest stage that Cristiano Ronaldo so often shines the brightest. The Ballon d’Or is the ultimate individual prize for footballers across the world, so let's not forget, that despite being 33, Ronaldo claimed the accolade for a fifth time in 2017 – meaning he now shares the record for the most Ballon d'Or titles with Lionel Messi. Both Ronaldo and Messi have dominated the Ballon d’Or for the past decade, with the pair securing number one and two spots every year for the past 10 years. But neither Ronaldo nor Messi will be happy with sharing that record, so you can bet that they're both desperate to beat each other to the crown in 2018 – and keep scoring in the upcoming weeks could go along way to achieving that fate. Without a doubt, there is one major trophy missing from the trophy cabinet of both Lionel Messi and Cristiano Ronaldo – and it is the one they crave above all others: the World Cup. This year's tournament was in Russia, and even though there's a chance it may have been the last time the pair performed together at a World Cup – is possible they both may do so again in Qatar in 2022. However, winning the World Cup with Portugal would surely end all Messi v Ronaldo debates, and cement Ronaldo's place as the greatest player of all-time. It is a long shot though, with neither Portugal nor Argentina particularly fancied to win the tournament in the years to come. But, that said, not many people thought Portugal could win the EURO 2016 – and they managed to do that in France, against the hosts. The 2018 World Cup was Cristiano Ronaldo's fourth tournament, and he managed to score 4 goals in the group stage, which added to his previous three World Cup goals in previous editions now make a total of 7 in his career. Portugal – captained by Ronaldo – faced Morocco, Iran and neighbours Spain in the group stage. 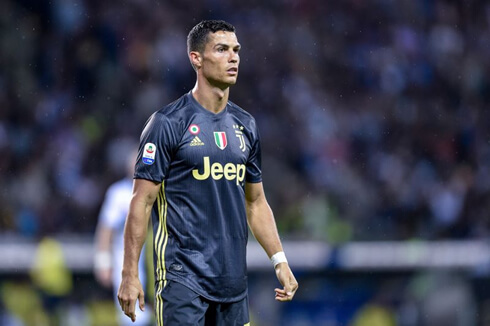 Cristiano Ronaldo next game for Juventus is on September 16 of 2018 against Sassuolo. You can watch Juventus vs Sassuolo, Italy vs Poland, Argentina vs Guatemala, Wales vs Ireland, Scotland vs Belgium, and Germany vs France, all matches provided from our live soccer game pages.